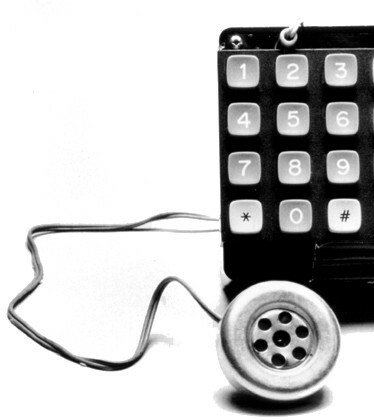 Before Steve Wozniak and Steve Jobs built Apple in the 1970s, they were phone phreaks. We read about (…) the story Esquire magazine about this guy named “Captain Crunch”, who could supposedly make free telephone calls. You heard about this, I’m sure. And we – again – were captivated: How could anybody do this? And we thought, it must be a hoax. And we started looking through libraries, looking for the secret tones that would allow you to do this. And it turned out we were at Stanford Linear Accelerator Centre one night, and way in the bowels of their technical library way down at the last bookshelf in the corner bottom rack we found an AT&T technical journal that laid out the whole thing. And that’s another moment I’ll never forget – we saw this journal we though – “My God, it’s all real” – (laughs) and so we set out to build a device to make these tones. And the way it worked was: You know, you make a long-distance call, you used to hear “tüdülüdülü” right in the background. They were tones that sounded like the touch tone you can make on your phone. But they were different frequencies, so you could make them. It turned out, that was the signal from one telephone computer to another – controlling the computers on the network. And AT&T made a fatal flaw when they designed the original telephone network, digital telephone network. They put the signaling from computer to computer in the same band as your voice, which meant, that if you could make those same signals you could put it right in through the handset. And literally the entire AT&T international phone network would think, you were an AT&T computer. So after three weeks we finally built a box like this that worked. And I remember the first call we made was down to L.A. to one of Woz’s relatives down in Pasadena. We dialed the wrong number, but we woke some guy up in the middle of the night – yelling at him like “Don’t you understand? We made this call for free!”. And this person didn’t appreciate that. But it was miraculous. And we built these boxes to do “blue boxing”, as it was called. An we put a little note in the bottom of them. Our logo was: “He’s got the whole world in his hand”. (laughs) And they worked. >We built the best blue box in world. It was all digital, no adjustments. And you could go to a pay phone, and you could take a trunk over White Plaines, then take a satellite over Europe and go to Turkey, take a cable back to Atlanta, you could go around the world, around the world five or six times. Because we learned all the codes for how to get on the satellite and stuff. And then you could call a pay phone next door, and you could shout in the phone and after about a minute would come out the other phone. It was miraculous. And you might ask: “What so interesting about that?” What’s so interesting is that we were young and what we learned was, that we could build something ourselves that could control billions of dollars’ worth of infrastructure in the world. That was what we learned. That it was us two – you know, we didn’t know much – we could build a little thing, that could control a giant thing. And that was incredible lesson. I don’t think there would have ever been an Apple Computer had there not been blue boxing. Bob Cringely: Woz said, you called the Pope. Steve Jobs: Yes, we did call Pope. He pretended to be Henry Kissinger. We got the number of the Vatican. And we called the Pope. They started waking people up in the hierarchy, you know. I don’t know, cardinals and this and that. And they actually sent someone to wake up the Pope. When finally we just burst out laughing they realized that we weren’t Henry Kissinger. And so we never got to talk to the Pope. But it was very funny, so. So we’re sitting in the payphone trying to make a blue box call. And the operator comes back on the line. And we’re all scared and we’d try it again. … And she comes back on the line; we’re all scared so we put in money. And then a cop car pulls up. And Steve was shaking, you know, and he got the blue box back into my pocket. I got it– he got it to me because the cop turned to look in the bushes for drugs or something, you know? So I put the box in my pocket. The cop pats me down and says, “What’s this?” I said, “It’s an electronic music synthesizer.” Wasn’t too musical. Second cop says, “What’s the orange button for?” “It’s for calibration,” says Steve. Wozniak and Jobs Blue Box, ca. 1972. The Blue Box allowed electronics hobbyists to make free telephone calls. The “Blue Box” was a simple electronic gizmo that bypassed telephone company billing computers, allowing anyone to make free telephone calls anywhere in the world. If it hadn’t been for the Blue Boxes, there would have been no Apple. I’m 100% sure of that. Woz and I learned how to work together, and we gained the confidence that we could solve technical problems and actually put something into production. So far with the story told by Steve Jobs building ‘blue boxes’ about making free phone calls around the world. Now hear it directly from the man who gave Steve Job the idea. Steve Wozniak found a “fiction” article with too much detail to be false. They helped themselves to the library at the Stanford Linear Accelerator and discovered the article was, in fact, real. But he emphasizes they called around the world to explore not to rip off Ma Bell. All his legit calls were made from home and he had a high phone bill as a result. (This is an Oct. 4, 1984 speech the Apple co-founder gave to the Denver Apple Pi club at the Colorado School of mines. NOTE: This is assembled from two dubs to fix playback errors. Every word is included, but video quality worsens in the second half.) Kudos to Vince Patton who discovered this video.